I was born in a Nursing Home in Langdon Hills in 1943, and for 4 years my parents rented a bungalow called “Rosedene” in Dry Street. This property still stands today, extended and with stables and horses in the grounds. In 1947 due to a family inheritance, we moved to “Edith Villa”, a sturdy Victorian semi-detached house in Nightingale Avenue, where we lived until a compulsory purchase order was served on it, in 1961. The school that my four sisters and I went to was just a short walk down Nightingale Avenue, or down the High Road and my memories of it are overwhelmingly positive and happy. 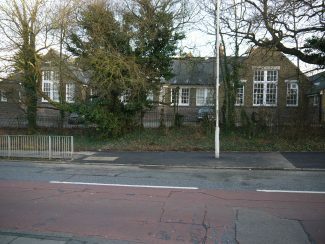 The school later closed and a new one was built nearby in Berry Lane and named Lincewood School although in the first year or two a few class rooms in the old school were used. 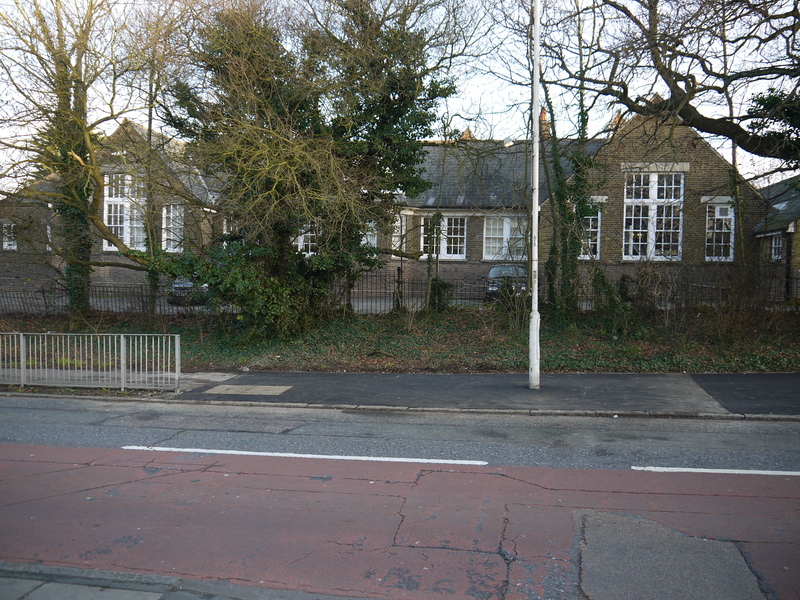 The school buildings, which date from 1911, are still in use today by education authorities. I started at the school in January 1948 when I was nearly 5 years old. My first teacher was Mrs Baker, a lively person. We had slates and chalk to start with, but paper and pencils soon replaced them. The classroom was the first in the corridor running east-west, large, and I remember enjoying having stories read to us. I cannot remember name of my next teacher – she was young and her husband also taught in the school, but I do remember Miss Wendon who taught me in 1950. She still lives, in the Southend area, because Christine Gaywood (maiden name) a fellow pupil met her recently by chance in Marks and Spencer’s. She was a well dressed and precise lady who brooked no nonsense, and we learned to read well and to recite our multiplication tables in her class. There was one boy, Martin Wood, who was inherently naughty, and who was always getting told off. One memorable summer’s day, Miss Wendon’s patience with him was exhausted, and she made him lie down on the table at the front of the classroom. She took off her watch and laid it carefully on her desk, and rolled up her sleeves. Martin was snivelling and pleading as he realised what was coming: “On no, Miss! I won’t do it again Miss! Oh no Miss!” She was deaf to his pleas, and the class watched in horror as she gave him a good spanking on his bottom which he thoroughly deserved. Those were the days when teachers did not fear being sued for such actions! I did not flourish with my next teacher, Miss O’Brien. Unbeknown to me and my parents, I was partially deaf, and this teacher had a soft voice for much of the time. I dropped my position in class as a result, and this meant I had to sit further back from the front, making things worse for me. However, she could suddenly fly into a rage and shout, and she was feared. I do remember doing a project on ‘sugar’ in her class, and we all received a small book on the subject by the Tate & Lyle sugar manufacturers. Mr Walker was next, a small Welshman who of course was known as “Johnny” Walker. He was lively and continued to coach us in arithmetic and reading. He also took us for sport activities, of which more later. I have the fondest memories of Mr Richardson, my last teacher at Langdon Hills. He used to catch a bus from where he lived in the Brentwood area. This meant he was always at school early, and in the spring and summer he would play cricket with us against the school wall. We loved it. He would always bowl, and he was scrupulously fair about letting us all bat. We fielded keenly, and were sorry when the school bell was rung for us to “line-up” ready to go to our classrooms. “Richo” as he was called played with us during all the breaks and he seemed to prefer our company to that of his colleagues in the Staff Room. Once, a boy hit the ball (a tennis ball) so hard it broke the headmaster’s window, but I don’t remember what happened. Probably Richo apologised. He was middle–aged, and had obviously spent some of his life in India, for I remember when he signed my autograph book when we left, he wrote, in Hindustan, with a translation “Knowledge is great Wealth”. The day with him started with a short test of mental arithmetic problems and then we would progress to longer, written problems. We did a lot of writing and spelling and grammar tests, and in the afternoon on Fridays we did model-making, much of it papier-mâché and match boxes. He treated us as people in our own right, not just as children, and we respected and loved him for this. When I passed the 11 plus examination, he wanted me to go to Brentwood School, but because so many of my family went to Palmers’ in Grays, his wish was overruled. There were other teachers there I remember well. The headmaster was at first, a stern old man called Mr Hall, but he retired and Mr Wiggins (Wiggie), a retired Naval Officer took over. He was lively but with a presence and the school flourished under his guidance. I never got caned, but I once had to stand outside his study for some misdemeanour. Miss Wilkinson was our music teacher and she was young but plaited her hair in an old way and tied it up in a bun on her head. She is alive today and plays the organ for several local churches and the piano for a local play group. She would stand at the piano so that she could see us all, with barely a glance at her music, and singing away, and she taught us many folk songs and patriotic pieces – “Hearts of Oak”, “John Peel”, “The Mermaid”, “The Keel Row” “The Drunken Sailor”, to name a few. And in Morning Assembly, when we sat cross legged on the wooden floor of the school hall, and then stood to recite “The Lord’s Prayer” and listen to other prayers, it was Miss Wilkinson who played and sung the hymns with great gusto. Miss Wilkinson’s father used to come on Wednesdays after school had finished and open the school library which was housed behind some oak cupboards at one end of the school hall. He used to smoke a pipe, which he was allowed to do after school hours, and we were allowed to borrow one book at a time. I was very keen on “Biggles” by Captain W. E. Johns, and I would often devour the book by Thursday evening and have to wait nearly a week to take another out. This meant that my Dad, who also liked Biggles books, was able to read it too! Miss Elsie Nevill (maiden name, she is still alive) took sport for the girls, but Mr Walker took us boys. We went over the road to the recreation ground for football and other games. I remember the name of the school football captain, Stuart Ramsey. I envied him! The School Sports Day was held on the recreation ground in the summer term. We were divided into four teams Ash (red), Elm (blue), Fir (green) and Oak (yellow). In my last year I was made the boy captain of Fir, and a girl in my class, Sylvia Turner, was the girl captain. We were pretty good runners, and joy Oh joy, Fir team won the sports, and Sylvia and I were called forward to hold the trophy aloft to celebrate our victory. Cameras clicked, but to my horror, when the “Laindon Recorder” came out next week showing us holding the trophy in triumph, the caption read that we were the ‘Girl’s Life Brigade’! Such things can be quite upsetting at that age! I can remember a number of names in my class. Michael Adams lived in Berry Lane and went to Palmers’. He now lives in the Lake District. Colin Carey, whose father owned a builder’s merchants, and who also lived in Berry Lane, also went to Palmers’ and lives in Colchester now. Dale Roberts still lives in Langdon Hills and was at Palmer’s Girls. Christine Gaywood lived on the junction of the High Road and Grove Avenue. Her father was a Tory Councillor. She was at Palmers’ and I think lives in the Southend area. Then there was Tessa Hall, at Palmers’. I don’t know where she is now. Bernard Redshaw still lives off Dry Street , and comes to Laindon History events. I met him, his wife and his sisters recently. I think Norman Muncy was in our class – he lived in Church Hill, Langdon Hills. Michael Lawrence lived in Dry Street. It would be great to meet all these after so many years, and to be reminded of those times and of others, whose names I have for the present forgotten. I was in Sandra’s class and have similar memories to those above. I can add a few names to the class: Anthony Charters, Rodney Cole, Roderick McDonald, Robert Underwood (of the opticians in Essex Road), Margaret Lyndsay, Glen Cunningham. I also recall PE lessons being at the end of a long crocodile walk to the Berry Lane Recreation ground. The only exclusion was cross country runs through the lanes behind the school. I agree with Robert’s comments regarding the striking differences between the two photographs. I was back a couple of years ago and was fortunate to be allowed into the school and taken on a guided tour. It is now operated rather like a locked fortress where an attempt is made to persuade the inmates (or challenged youth was the term used) in the wisdom of forsaking their worst character attributes. The same deterioration seen between the two photographs is evident inside, particularly the indoor/outdoor carpeting running in the corridor. I remember it used to be stone, easy to clean floors in the corridors. Now the carpeting gives off a strong smell of mold. The lunch room is gone. The playground is given over to several cheap looking annexes which makes it look rather like a caravan or RV site. There was a time when it was smartly kept and obvious pride taken in its appearance. Those times are gone. Having read Robert Springates comment and noting that he is aware of the European Court of Human Rights, I would like to remind him of another bunch of “do-gooders”. Environmentalists and Ecologists would much prefer to see the messy, neglected area immediately outside the school railings because it looks “more natural”. It seems to me that progress can also go backwards ? After leaving the LHR school at the age of 15, my school report said that I was good at carpentry and should consider this as an occupation. The careers officer agreed with this conclusion. My career path started at a portable building manufacturer in Billericay. This wasn’t quite what I had in mind. A friend who was working for a small builder in Billericay, a “one man band” outfit, said he was leaving his employ and asked if I wanted to take over his job. I jumped at the chance, contacted the builder and was taken on. The builder did not have a van, just a rickety old motorbike and a coffin like side car. I rode in the side car with tins of paint, rolls of wallpaper, bricks, building blocks, lengths of skirting board, you name it! Wasn’t very comfortable for me, sharing my ride with these materials. I became a “dog’s body” doing all the hard manual jobs. Digging trenches, carry a hod full of bricks up a ladder and roofing tiles. I was still only fifteen and all for £5 a week. I had to turn up and work for four hours on a Saturday morning before I was handed my pay packet. Again, this sort of work was not for me, I mentioned that I was not learning anything about carpentry. He said that I had not got any basic woodwork tools. I said I found it difficult to buy tools, after I gave my mother £4 a week for my keep and a £1 for myself. I was cycling from Langdon Hills to Billericay six days a week. I quickly left that employment and was lucky enough to be employed by a builder in Laindon. Starting off in the carpenter’s shop and having a mentor. As I progressed I was taken out to various contracts around the area, that involved building maintenance/repairs. Learning on the job and getting first hand experience was exactly what I wanted. Some contracts involved repairs to local schools throughout the area. One particular contract was replacing the roof of the school canteen at Langdon Hills Primary school! I had come full circle, back to my humble seat of learning! Not many pupils can say they were sent back to their primary school to put a new roof on the school canteen. The canteen roof and walls was clad in corrugated tin sheets, nasty material to handle with sharp edges. No health and safety in those days like protective gloves. The sheets of tin on the roof were well past their sell by date, rusty and worn thin. Stripping the sheets off, we came across mummyfied rats that had crawled up in the corrugations, got stuck and died there. The heat of the sun in the summer had dried them out like leather. Also found bird’s nests, one or two dead bats. It was a dirty dusty job. The roof was replaced with new sheets of corrugated asbestos. Unthinkable material to use these days. I don’t know if the old canteen is still standing. By now I was experienced to do repair jobs on my own and the next job was at Markhams Chase School, fitting roof support beams. After many years working on numerous sites, including the construction of Basildon Hospital, I was invited to join the management side and sent on numerous courses for management training. I spent 27 years with one International Company and retired in 2001. I live in a brand new bungalow and drive a new car and just a ten minute walk from the sea front. I am very gratefull for my basic education at the LHP and LHR. Seem to have done o.k. for myself, even if I didn’t make it to Palmers. I heard that Alan Newton was still living in the Basildon area. Paul Corbet lives in Holland- on- sea, “God’s waiting room” as he called it. Paul said he was just a “poor carpenter” don’t know if he still lives there. Holland-on-Sea is just along the coast from Clacton, where I now reside, but have never “bumped” into him around the town, a chance meeting sometimes happens, presuming he hasn’t moved on, or his number has “come up” in the waiting room! The top photo of LHP looks as though it was taken on a hot day in Summer, (does the reader remember those endless hot summers of our infant school days?) as I noticed that most of the windows are open. The apex roof to the right of the chimney stack was Miss O’Brian’s classroom. I attended the school from ’47 to ’54. As you can see, Miss O’Brian’s windows are fully open, was this to let out all the hot air she was shouting and spouting at us poor kids and ducking the occasionally thrown blackboard rubber or piece of chalk to get our attention. Can you imagine it today, the teacher throwing missiles at the children? The children would be recording it on their mobile phones and their parents taking the teacher to the European Court of Human Rights. I also remember the school canteen being open in the Summer holidays, as food rationing was still in force in the late ‘forties. It was to ensure that each child received at least one hot meal a day. The meal was 6d, (two and a half new pence) this included a pudding to follow. Made a nice change from the bread and dripping we had for breakfast at home. Trouble is, can’t afford a large beef joint nowadays, to get enough dripping from it, to spread on our bread. The “dripping” was pure fat of course. Needed something to keep out the dreadfull cold of the winter of ’47 We had cabbage most days, just the middle of the leaf, just like stumps really. Did the cooks cut the leaves off and take them home for their rabbits in their back yard hutches? I agree, the second picture looks terrible, with the ivy growing up the oak tree and the overgrown area in the foreground, in strict contrast to the neatly clipped hedges in the first photo. Had a spoonfull of codliver oil (very few cod in the seas these days to extract enough oil to fill a small bottle). Also tins of malt we were given, and a small daily bottle of milk, drunk through a straw. I remember taking the crates around the classrooms for the teacher to hand out. I and fellow classmates had the grand title of “Milk Monitor” bestowed upon us! Children no longer have this perk, also had small bottles of orange juice as well. The milk has gone the way of the playing fields now. Defunct. The fields sold off for housing development. Times have certainly changed from those far off days of Langdon Hills Primary School. I didn’t know it then, but somewhere in the infants’ classrooms, my future wife was being taught the three Rs, as well. Reading, writing and arithmetic. We moved to ‘Sylvan Glen’ Sylvan Road in 1951. It was like wonderland, a beautiful bungalow with a children’s fantasy of a garden. The bungalow was up a sort of cinder path and the garden backed on to the railway. Steam trains then! One sister Joy, worked in Laindon after leaving the High Road School. Jean my other sister went to the High Road for about a year, when my dad’s accident meant she had to leave Grays Palmers. Dad was almost killed in a bad motor cycle accident in October 1954. I remember the night we’ll when the policeman came to tell us and I overheard our neighbour being told they didn’t expect him to last the night. Life changed then for us all sadly especially Mum and us two younger children! I had a lot of time off school and never fitted back in again. I remember most of those in my class Vivian Lagdon, Maureen Card, Brenda Bond, Pauline Warren, Dorothy Tate, Jennifer Garrity, Elsie Gale, Roy Mansfield, George Le Surf, Bobby Baldwin, Roy Webster etc etc. Teachers, Miss Wendon, Mr Walker, Mrs Baker and Mrs O’Brian etc. We moved away to Norfolk in 1956 but I will always have fond memories of Laindon. 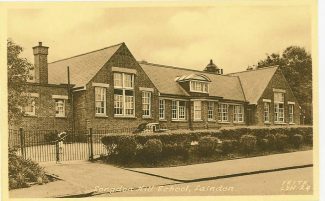 I to have very happy memories of Langdon Hills School although I was only there for just over a year before passing the 11 plus and going to Palmer’s Girl School. Mr Richardson was my teacher and wrote in my autograph album signing it FDR (his initials) and he was proud to say that he shared his initials with an American President. We also played cricket in the lunch hour and once Mr Richardson organised a class cricket match. As there were only a few boys in the class and some of them were not very sport minded he made me captain of the boys team and I had to make up numbers with some of the more sporty girls. I sang descant in the school choir and we took part in a competition at Leigh. I really enjoyed my time at the school. After going to Palmer’s I became friendly with Mary Nicholls and spent a lot of time at their house in Nightingale Road – she is the sister of one of the other contributors to this site. I recall SYLVIA TURNER well as we lived next door to her in SYLVAN ROAD..my eldest sister JOY was good friends with her older sister MAVIS.My sister JEAN was good friends with SYLVIA..I went to Langdon Hills school from 1952 until I was 11 in 1957 ish . I recall Sylvia Turner well as we lived next door to her in Sylvan Road. My eldest sister Joy was good friends with her older sister Mavis. My sister Jean was good friends with Sylvia. 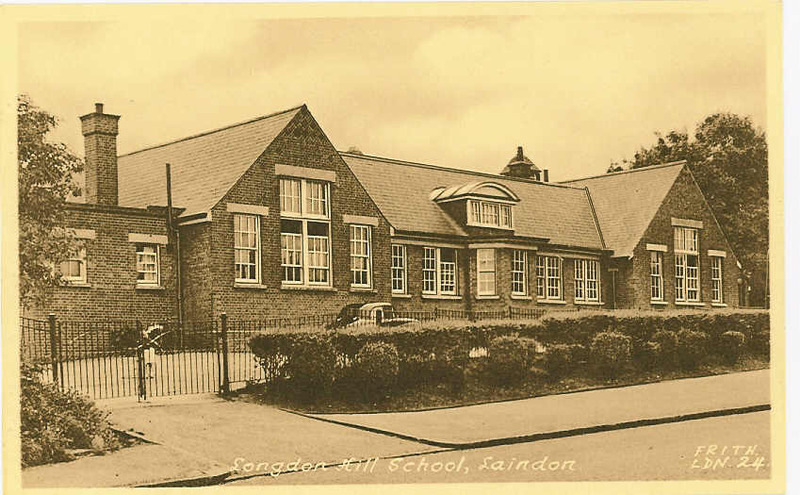 I went to Langdon Hills school from 1952 until I was 11 in 1957 ish. John, you have a fantastic memory, you must recall those days with as much affection as I; every single fact and name is exactly as I remember Langdon Hills Primary School. Colin, I remember you well! Am I not right in thinking that a relation of yours (uncle perhaps?) owned a factory along the A127 and didn’t I visit your home somewhere in the Railway Approach area on numerous occasions? Anyway, I recall clearly those names you’ve thrown into the mix. Several years ago I was in email contact with Jean Charters who has lived in Oregon for many years (unfortunately I’ve since lost her email address) and I recall Wendy Griffiths with particularly fond memories! We exchanged a few short emails several years ago but, sadly, all too few! I, too, have fond memories of Langdon Hills Primary School in spite of experiencing Miss Wendon removing her wrist watch on a few occasions and, like you, being terrified of Miss O’Brien! Hello John, I too went to Langdon Hills and I’m sure I remember you, I certainly I remember Silvia Turner and all of those mentioned in your final paragraph. Do you recall, Alan Newton, Paul Corbett, Ken Maynard, Wendy Griffiths and Jean Charters, they were also in our class. I recall Martin Woods very well, were you aware that he was having violin lessons and was apparently an excellent music student. On one occasion after school, he and I were climbing the trees at the end of Samuel Road and the High Road when he fell and subsequently broke his arm; the result was an arm in plaster for the next few weeks. The following morning Mr Wiggins wanted to know what had happened and remarked that Martin had been due to take an important violin exam the following day. Years later I happened to be in a pub on the Basildon Industrial Estate which I think was called The Van Gogh, a group was playing and Martin Woods was the singer, he was very good but regrettably I didn’t get the opportunity to speak with him. In late 1953 we moved to Billericay so although I knew Mr Richardson I never reached his class. I have a school report dated 1953 , possibly my last at Langdon Hills and signed by Miss O’Brien, it wasn’t at all bad considering she scared the living daylights out of me. I remember so many of these teachers, even though I didn’t start at Langdon Hills school until 1961 or 2. I was taught by Daphne Wilkinson and Elsie Nevill was a true friend to our family, but I don’t remember her being at Langdon Hills School, she was Head Mistress at Vange Primary when I was a child. Miss O’Brien, Miss Wendon, Mr Walker and Mr Wiggins were there, and I also remember Miss Brooks and Mr Huggit. My mother was taught by Miss O’Brien and lived in fear of her, thankfully I never had her as a teacher. I have some good memories off LH School. The first picture – neat and tidy surroundings, second picture – scraggly ivy-laden trees, pavement and road patched with different colour tarmacs and cracked, I know what I prefer! Hi John, I too was born in Laindon in 1943 and attended Langdon Hills Primary school. I remember all the teachers and children you have mentioned but I can’t recall you? Miss O’Brien slapped my face once and can’t think why because I was a quiet child. Only difference was that I left earlier because I was sent to a sanatorium so missed the last part of LHP and first part of LHR schools. I do recall receiving a great big letter from all the children wishing me well – I wish I had that now; perhaps you signed it!